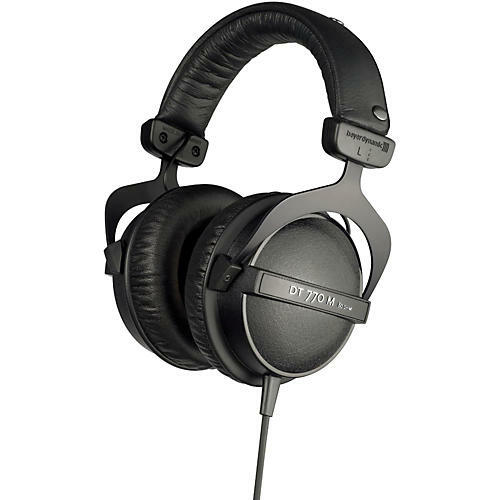 Beyerdynamic DT 770 M Monitoring Headphones for Drummers feature excellent ambient noise attenuation, superb audio quality with high sound pressure level handling, and extended frequency range for realistic, dynamic sound. A single-sided cable with volume control, high long-term wearing comfort, and replaceable softskin earpads make these effective and ergonomic headphones for monitoring. 80 ohms. Includes leather carrying case.